Desk space is available in this large first floor room to the back and side of the building. It is our Media Hub providing a quiet working space in the building. 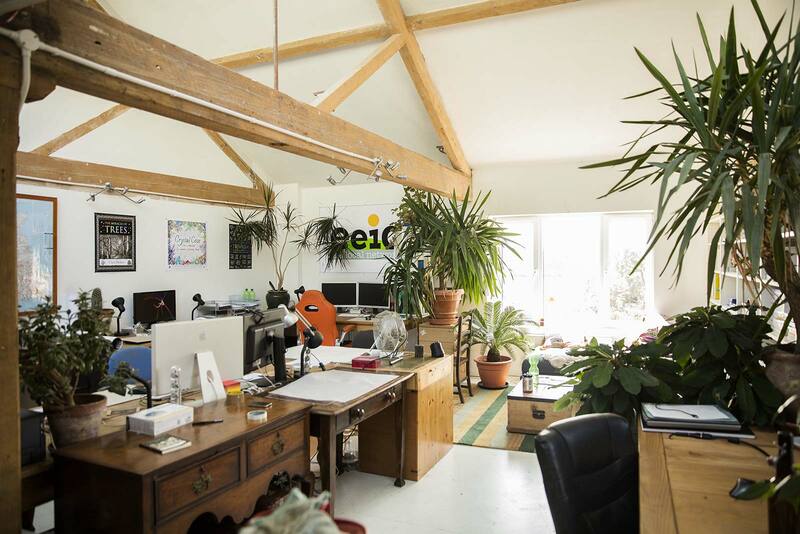 If you’re looking for a great space to work with like-minded people then get in touch. Full-time desk cost: £125 per month. Our media hub facilities make perfect sense – especially if you’re fed up working in local cafes or at home. They’re affordable, and available full time for £125 a month. 3 x full time desks. The room is 588 sq ft / 54 sq mtrs in size and current occupants include Biggerhouse Film and Conscious Frontiers.